Scandatex Wall Covering 6164 Scandatex Decorates, Strengthens, Protects And Reinforces. It ..
Scandatex Wall Covering 6297 Scandatex Decorates, Strengthens, Protects And Reinforces. It ..
Scandatex Wall Covering 6343 Scandatex Decorates, Strengthens, Protects And Reinforces. It ..
Scandatex Wall Covering 6345 Basketweave Scandatex Decorates, Strengthens, Protects And Reinforce..
Scandatex Wall Covering 6354 Scandatex Decorates, Strengthens, Protects And Reinforces. 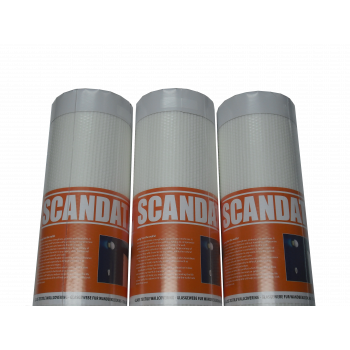 It ..
Scandatex Wall Covering 6370 Scandatex Decorates, Strengthens, Protects And Reinforces. It ..
Scandatex Wall Covering 6390 Scandatex Decorates, Strengthens, Protects And Reinforces. It ..
Scandatex Wall Covering 6392 Scandatex Decorates, Strengthens, Protects And Reinforces. It ..
Scandatex Wall Covering 6420 Scandatex Decorates, Strengthens, Protects And Reinforces. It ..